With double effect: strong swept the dirt and polish. 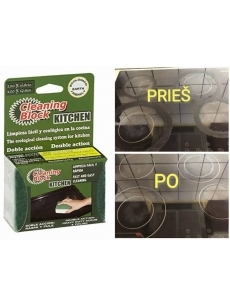 Removes burnt grease and food residue from the oven trays, trays, pans, pots and pans bottoms, burners and so on. iron and stainless steel.